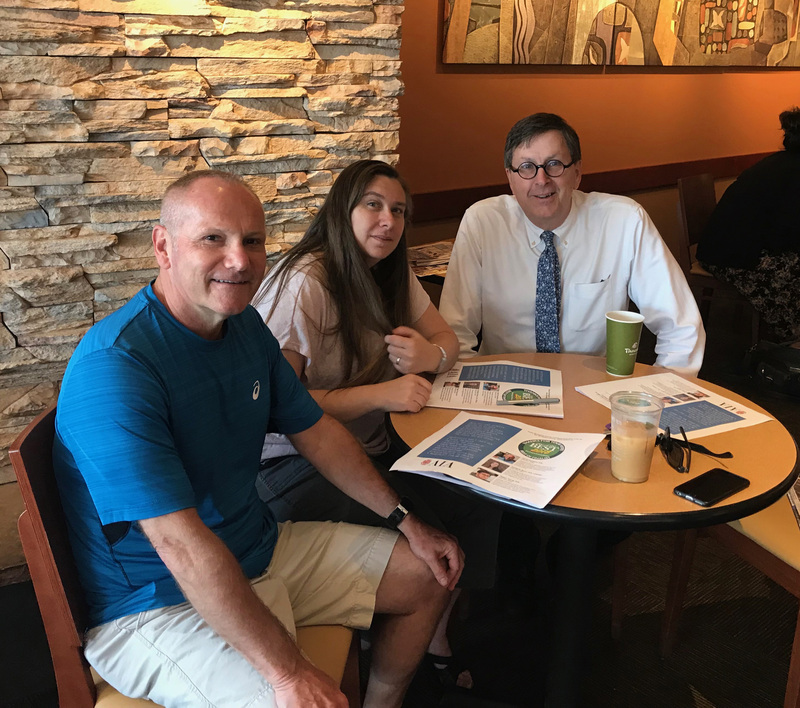 Moorestown, NJ, 16 August 2018 – Architects Kimberly Bunn, David Donachy, and Regan Young met today to strategize how to advance here in Burlington County the national AIA’s initiative, A Blueprint for Better. The American Institute of Architects (AIA) has created this campaign to bring to life the role of architects as thought and action leaders in improving our cities, towns, and neighborhoods. In partnership with their clients and other stakeholders, architects plant the seeds that blossom into stronger communities. AIA members Bunn, Donachy, & Young have been voted by Burlington County Times readers as 2018 Best Architects. Their intent is to use this recognition to advance their Blueprint for Better to advocate for their clients and the public by addressing the social, economic, and environmental imperatives of the 21st Century. Kimberly Bunn is an architect in private practice based in Moorestown, NJ. Specializing in residential projects, she has expertise in preservation and sustainability. “Our historic buildings express our culture and heritage,” says Bunn. “While green options can save the client money and create a healthier environment.” She sits on the Board of Trustees of both the AIA New Jersey chapter, the AIA West Jersey section, and has served as president of both organizations. On 11 September, Bunn, Donachy, and Young will be recognized as Burlington County’s Best Architects at a gala presented by the Burlington County Times. Winners from all categories will be gathered at the Hotel ML that evening.